At the FIM 250cc Grand Prix of Russia, home rider Vladimir Kavinov, only riding part-time on the circuit due to the decision by the Russian government to no longer work with KTM, showed up on a CZ and won the overall with 2-1 moto scores. Kavinov carved out a dubious place in history with his stunning win: It was the last GP victory for the once-dominant CZ brand. 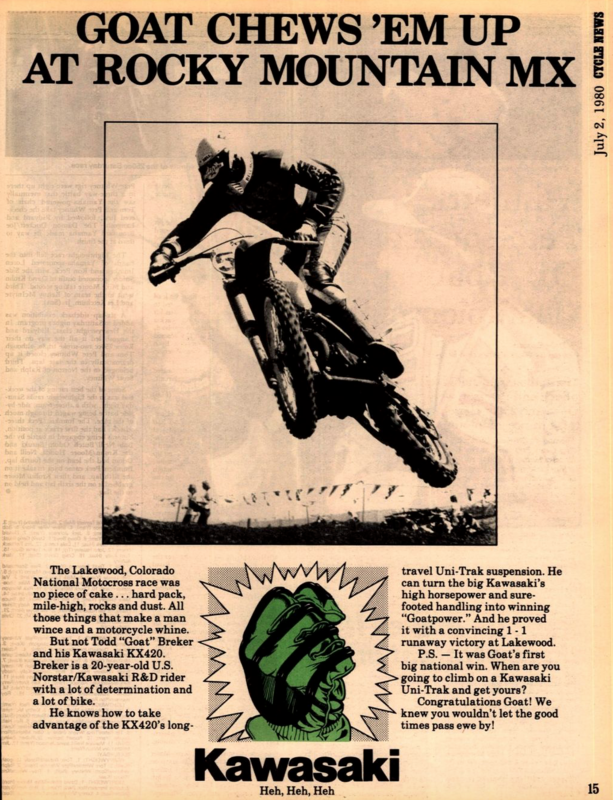 In the U.S., the High Country National in Colorado went to Kawasaki's Goat Breker in the 500 Class, going 1-1 for the win over Yamaha's Rick Burgett's 2-2 and Suzuki's Marty Smith's 3-5. In the 250 Class, Suzuki's Kent Howerton took another overall win, this time over Kawasaki's Warren Reid and his Suzuki teammate Darrell Shultz. Texas' own Kent Howerton won the overall at the Lake Whitney 250 National at the Cycle Ranch. 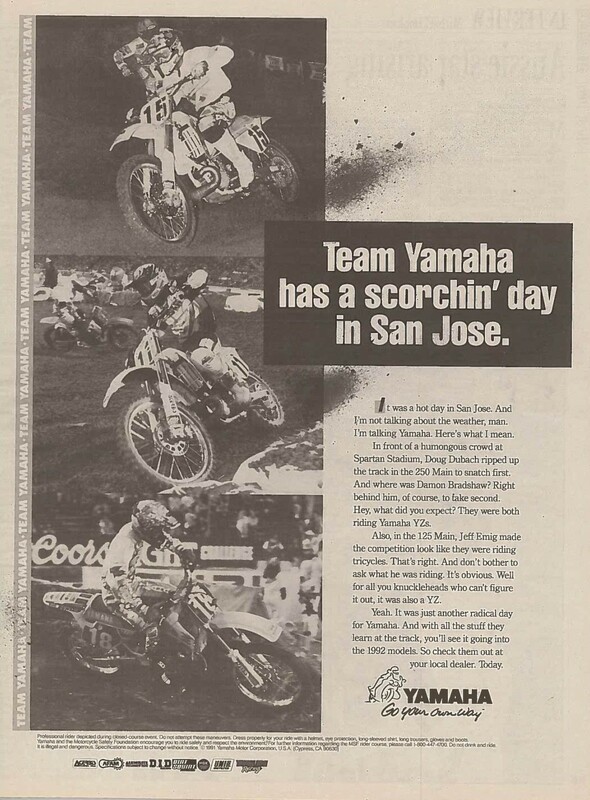 Howerton topped Suzuki riders Tony DiStefano and Billy Grossi, as well as his Husky teammate Terry Clark and Can-Am rider Mike Runyard. 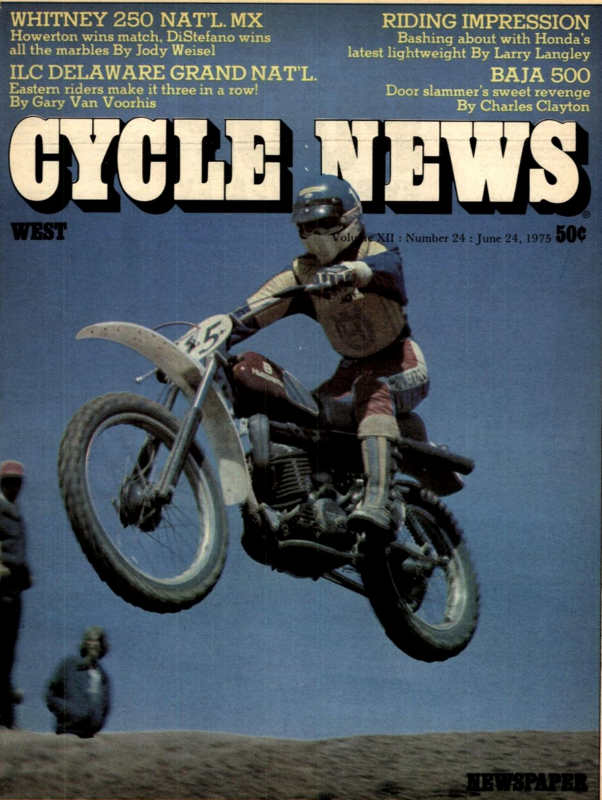 Kent Howerton on the cover of Cycle News after his Lake Whitney 250 National win, shot by another Texas legend, Jody Weisel. That same day in Baja, Mexico, a Harley-Davidson would win the Baja 500 for the one and only time, as desert legends Larry Roeseler and Bruce Ogilvie teamed up to get their highly modified SX 250 to the finish line first (and all of the checks, as a team that finished in front of them was disqualified by SCORE for having missed one check and two "visual" checks around the midway point of the event). The bike that Roeseler and Oglivie rode to the brand's only win in Baja is now in the Harley-Davidson Museum in Milwaukee, Wisconsin. 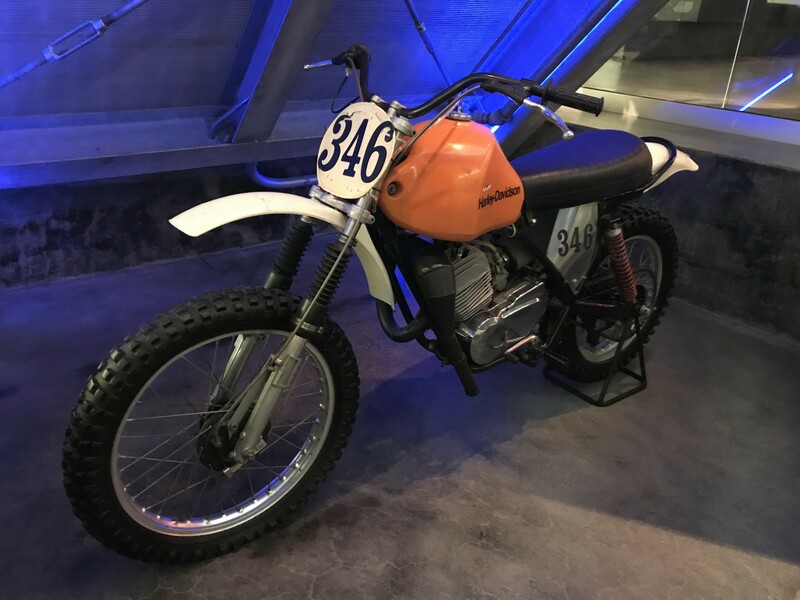 The Harley-Davidson 250 SX that Larry Roeseler and Bruce Ogilvie rode to the 1975 Baja 500 win is now in the Harley-Davidson Museum in Milwaukee. The 125 class main was won by another Yamaha rider, Jeff Emig, with PEAK/Pro Circuit Honda rider Steve Lamson second and Kawasaki Team Green rider Michael Craig third.